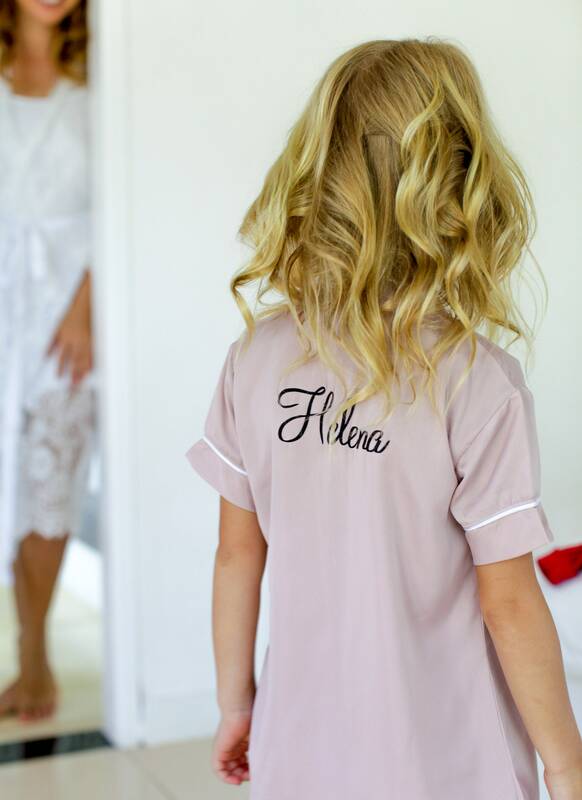 Your flower girl deserves her own set of pajamas, too. Crafted with our soft, crepe material, the Maggie Pajama Set includes detailed contrast piping and pocket details. Available in a variety of colors, this set is sure to delight your flower girl(s).